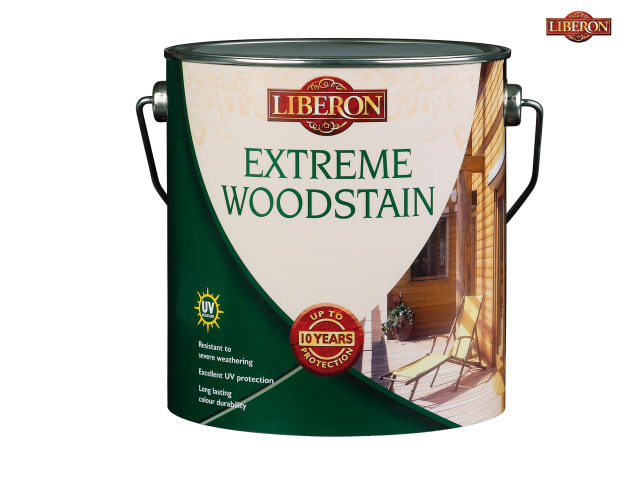 Liberon Extreme Woodstain is a highly durable woodstain, with added UV protection, that is specially developed to protect exterior wood against severe weathering (ice, snow, rain, heat) and prolonged exposure to sunlight. It has a long lasting colour durability. 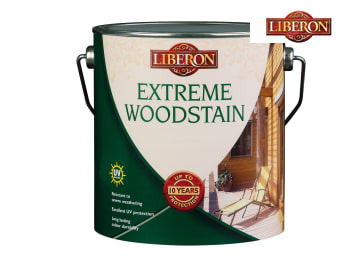 Providing up to 10 years protection, it is ideal for use on heavily exposed exterior wood such as cladding, gates, window frames, doors and fences. Coverage: 12m² per litre (depending on condition of wood). Drying time: 4 hours between coats, 24 hours total.